Taking a logical backup of a member of a Group Replication Cluster is not something very easy. Currently (5.7.17, 5.7.18 or 8.0.0) if you want to use mysqldump to take a logical backup of your dataset, you need to lock all the tables on the member you are taking the dump. Indeed, a single transaction can’t be used as savepoints are not compatible with Group Replication. This can have a negative effect on the full Group’s performance as the member having all the tables locked might start sending statistics reaching the flow control threshold. Currently we don’t have any way to decide to ignore those statistics for a given node. The replication development team was of course aware of this problem (reported in bug 81494) and decided to support savepoints with group replication too. Anibal blogged yesterday about this new improvement. Wooohoo, it works ! Good Job replication team ! 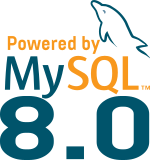 Savepoints can now be considered as NOT being a LIMITATION anymore for MySQL Group Replication ! How can I fix this error permanently? 3) else do we have any other permanent solution for this? I would first find where the problem comes from. I would for sure never skip errors in replication stream like you suggest in point 1. You can parse the binary logs of your slave to find when/who wrote that record if you suspect somebody locally to the slave writing to the slave directly.